The ratings year has come to an end. While the Seven Network claims the overall contest (6pm-12mn, 5 cities), as usual each of the players have claimed various prizes and achievements of their own. The Nine Network, coming second overall in prime time, has claimed to have victory over the advertiser-friendly demographics of 16-39s, 18-49s and 25-54s. 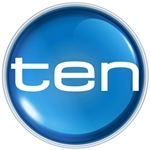 Network Ten claims to be the only commercial network to have achieved audience growth compared to 2014. Ten has also claimed the year in daytime (9am-6pm) for viewers 25-54. 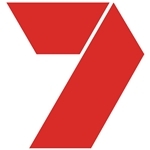 Seven has claimed victory in prime time (6pm-12mn) for the period from 8 February to 28 November (excluding the two weeks surrounding Easter) — the official survey periods declared by ratings agency OzTAM, covering the capital city markets of Sydney, Melbourne, Brisbane, Adelaide and Perth. Seven’s network share of 29.3% (down from 30.4% in 2014) is followed by Nine (28.1%), Ten (18.8%), ABC (17.6%) and SBS (6.2%). Broken down to individual channels — Seven (20.7%) defeated Nine (19.7%), Ten (13.4%), ABC (13.0%), SBS (4.9%), 7TWO (4.7%), GO (4.6%), 7mate (3.9%), Gem (3.8%), Eleven and ABC2 (2.8% each), One (2.6%), ABC News 24 (1.2%), SBS2 (1.1%), ABC3 (0.6%) and NITV (0.1%). Seven had another big year with reality titles My Kitchen Rules (The Winner Announced — 2.180m across 5 cities) and The X Factor. House Rules didn’t fare quite as highly but still maintained a solid result. The same could not be said for Restaurant Revolution, the much hyped new format which rated poorly and ended up quietly playing out its series on Thursday nights. And after 15 seasons there wasn’t much ratings shine left in the Dancing With The Stars mirror ball, but it will be back next year. Seven had success with new dramas 800 Words (1.325m) and Winter (1.001m) and mini-series Peter Allen: Not The Boy Next Door (Part One — 1.560m) and Catching Milat (final — 1.686m). The network’s early evening stalwart Home And Away has had a challenging year, while the launch of The Chase has provided a strong lead-in to Seven News and provided a late year challenge to Hot Seat’s dominance on the 5.30pm timeslot. The AFL Grand Final (2.645m) topped the network’s list of sporting events, followed by the Melbourne Cup (the race — 2.130m) and the Australian Open (Men’s Final — 1.882m). Sunrise continued to win the breakfast battle against Nine’s Today, but the latter is closing the gap once thought to be unsurmountable a few years ago. The Nine Network had a big year with sporting events, with the State Of Origin (2nd match — 2.653m, 1st match — 2.468m, 3rd match — 2.255m), ICC World Cup Cricket Final (Session 2 — 2.440m) and NRL Grand Final (2.458m) topping its list of events. It was also another big year for The Block (Triple Threat: Winner Announced — 2.054m), while The Voice (Grand Final — 1.563m) also delivered strong results. New reality show The Hot Plate may have fought off a legal bid by Seven to stop it going to air but it didn’t manage to hit the highs enjoyed by My Kitchen Rules — the series that Seven claims it was significantly based on. Reno Rumble was a fair performer, and the year’s second series of The Block failed to match the ratings of the first. New series Married At First Sight (1.198m) fared surprisingly well. Drama series Love Child (1.074m) had a solid run, while mini-series The House Of Hancock (Part Two — 1.684m) delivered higher results. Mini-series Gallipoli launched to a high of 1.342m but ratings rapidly dropped as the series progressed. Nine News continued to win the 6.00pm battle against Seven News, although the latter is still the leader in Adelaide and Perth. 60 Minutes (975,000) outranked Seven’s Sunday Night (955,000), though there were probably few occasions where the shows were directly against each other. Network Ten’s boost in confidence and share of ratings and advertising revenue is largely attributed to new formats kicked off during the year — Gogglebox, I’m A Celebrity Get Me Out Of Here, Shark Tank, The Great Australian Spelling Bee and The Bachelorette. While most of these did not exactly match the ratings highs of rival programs they presented a swing towards Ten while Seven and Nine were knocking each other out over duelling formats. MasterChef Australia (Winner Announced — 2.2m) was again a strong performer for Ten, while The Bachelorette Australia (The Final Decision — 1.563m) got off to a great first series on the back of another series of The Bachelor (The Final Decision — 1.519m). I’m A Celebrity… Get Me Out Of Here (Winner Announced — 1.26m) delivered growth in the early evening timeslot compared to 2014. Gogglebox was a slow starter at the beginning of the year but its second series at the end of the year (730,000) was much improved. Mary: The Making Of A Princess (1.1m) was a ratings hit at the end of the year, but there wasn’t much joy for series Wonderland (537,000), which will not be back in 2016. Neighbours, on Eleven, averaged 238,000 viewers which is a decline from previous years but ranks high among multi-channel ratings in that timeslot. Ten had solid results for Have You Been Paying Attention (669,000) and consistent numbers for The Living Room (560,000). Family Feud (593,000), which continues to be broadcast across Ten’s three channels, is providing a fair alternative to the 6.00pm news bulletins. Although Seven and Nine are knocking each other out with game shows at 5.30pm, Ten Eyewitness News (559,000) is claiming to have won the full hour. The network has also seen some growth with The Project (7pm — 598,000), particularly in younger demographics and having some wins against Home And Away, particularly in Melbourne. ABC‘s best results this year came from Asian Cup 2015 Final (Extra Time — 1.648m), documentary The Killing Season (1.142m), drama The Doctor Blake Mysteries (1.1m), panel show Gruen (1.066m) and comedy series Utopia (976,000). Top performer for SBS was Struggle Street (1.061m). The network’s coverage of the Eurovision Song Contest, this year featuring Australia’s debut representation in the final, was a strong performer across its four-hour broadcast (592,000) with the additional early morning live broadcast from Vienna (263,000). As of yesterday (Sunday) networks go into summer non-ratings mode, though viewing data is still collected by OzTAM and reported to networks over the non-ratings period. 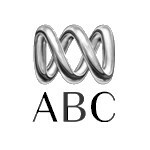 The 2016 ratings year begins on 7 February and continues through to 26 November, with a two-week break over the Easter period. 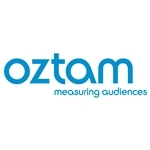 Data © OzTAM Pty Limited 2015. The Data may not be reproduced, published or communicated (electronically or in hard copy) without the prior written consent of OzTAM.